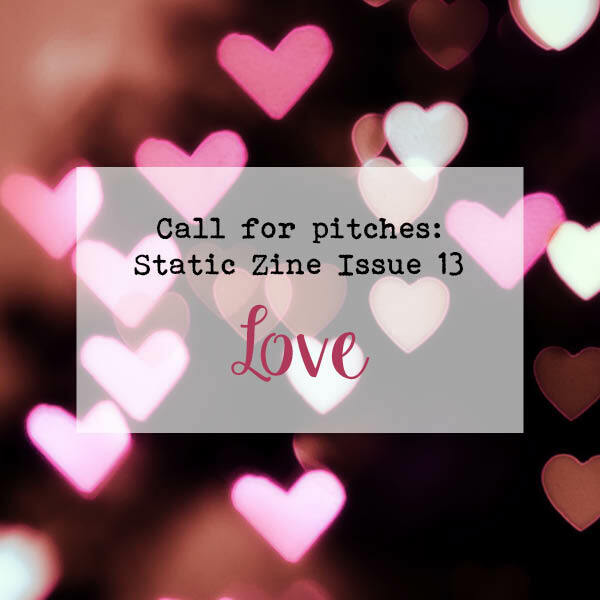 Call for pitches: Issue 13 – the LOVE issue! Lucky number issue 13 will be out in February so guess what the theme is? That’s right … love! We are looking for pitches of writing and illustrations or any way you can design a page. You can make your page about anything that has to do with love, in any direction you choose. You could go sappy and write about your first date with your partner, or you could cover a page in darkness with your ex’s face scratched out, y’know, there are a lot of options. You could illustrate what love means to you. You could write a short essay on something that’s happened to you. You could draw a comic about a family member. Wish you could marry your cat? We’d totally publish a story about that. Please let us know if you have any questions on the theme. What we’re looking for: Right now, all you have to do is submit what you’d like to make a page about regarding the love theme. An idea for something serious, witty, funny, opinionated, you name it. You can come at the idea through any kind of word or art interpretation. Anything that works printed on a sheet of paper. Common uses in our zine include personal stories, fiction, illustration, photo collages, game designs, comics, doodles, etc. Feel free to combine! Deadline: Friday, January 15, 2016. Submissions will then be due by Friday, February 5, 2016 *at the absolute latest*. We have low tolerance for late submissions, and it takes us time to put everything together and get printed, so please take this seriously. Artists: We are also looking for someone to illustrate the cover. If you have a great idea that conveys love, get at us! Your page *must* be vertical. *Send us a photoshop or jpeg file. Resolution 300. Seriously, please don’t hesitate to ask us any questions! This entry was posted in Issue 13 by Jessica. Bookmark the permalink.